What Do Dads Know Anyway!? Had a 10yr old crawl into bed with me last night. Sure, Boy. But I’ve only got a sheet, will you be warm enough? He just smiled knowingly. 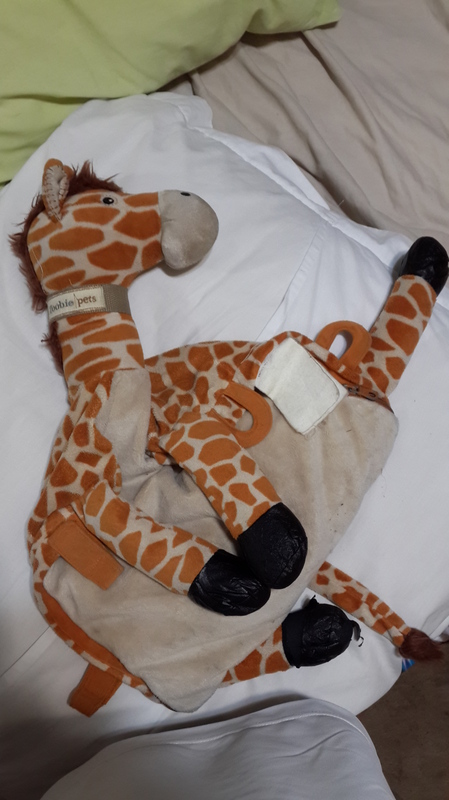 He was carrying Girry the Giraffe whose tummy is stuffed with a fleecy blanket. He unzipped her, pulled out the blanket and snuggled under it, his head on Girry’s as a pillow. You know, when your Mom bought Girry for you I said to her: “Do you think he’ll like that? Isn’t he too old for that?” She just looked at me smugly and said: “He’ll LOVE it”. Mommy knew everything, says Tom. But Will He Wear It?